Texas has been blessing us with amazing guitarists for years, like Johnny Winter, Billy Gibbons, and Stevie Ray Vaughan, to name a few. Austin Texas guitarist/songwriter/vocalist Eric Johnson has been wowing guitarist for decades with his signature strat sound and his rock style, that blends the sophistication of Wes Montgomery with the rock tone and aggression of Jimi Hendrex, with the blues power and soul of Albert King. 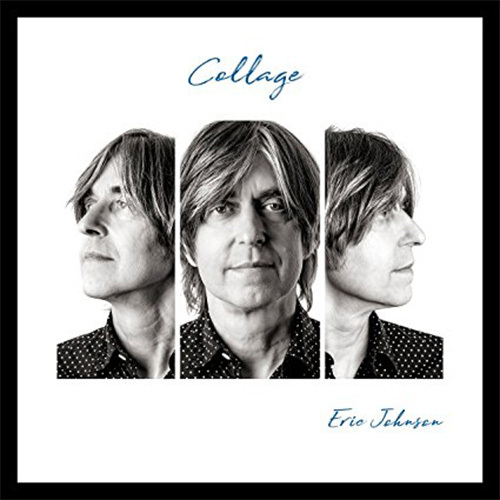 The guitarist has been presenting instrumentals with his vocal tunes over the majority of his career, and with his new album, Collage, Johnson continues this trend with a series of originals and covers. Collage contains ten tracks: six tracks have Johnson on lead vocals and the other four are instrumental. The covers are, a beautiful acoustic rendition of Jimi Hendrix’s “One Rainy Wish,” Stevie Wonder’s “Up Tight (Everything’s Alright),” the Ventures’ surf-rock classic “Pipeline,” the Beatles’ “We Can Work It Out” and B.B. King’s hit, “Rock Me Baby.” Johnson’s guitar tone and style are unique and the colors he is able to achieve on the instrument would make any vocalist struggle to match its power. However, if one can accept Johnson’s thin voice and focus on the playing and arrangement or songwriting, the musical reward is stellar. That’s the short of it! Johnson is in the upper echelon of guitar gods, so the guitar playing is amazing as usual. There are four new instrumentals on Collage that will have all the guitar freaks going crazy. Johnson’s songwriting is excellent, both instrumentally and vocally, by mixing blazing instrumentals with Beatles-influenced vocal tunes, Johnson continues to present his music in a half-and-half format as he has over the years. Should this even be a part of an Eric Johnson review? Well, yes, we are used to a very high sound quality with Johnson, and honestly Collage’s overall sound quality has some weak spots. The covers are interesting, but perhaps Johnson’s style is so unique that it just does not transfer 100%. Johnson continues to push himself as an artist, both musical and vocally. Collage is a wonderful mix of music that shows that even a guitar God can grow and develop new sounds and colors. Johnson’s harmonic and melodic colors are simply richer on this album compared to his past endeavors, combine that with his amazing guitar tone and technique, and the result is a musical experience that is simply amazing.